Egyptian authorities declared intention to extend the depth of its security buffer zone from 500 meters to one kilometer on its border with the Israeli-blockaded Gaza Strip. The Egyptian decision would lead to the demolition of more than 800 homes and the displacement of 1100 families. North Sinai provincial governor Abdel Fattah Harhur told AFP that work will begin next week to double the width of a buffer zone being built along the border with the Gaza Strip. Harhur claimed he had met families from the area to be evacuated to discuss the financial compensation or the alternative housing. 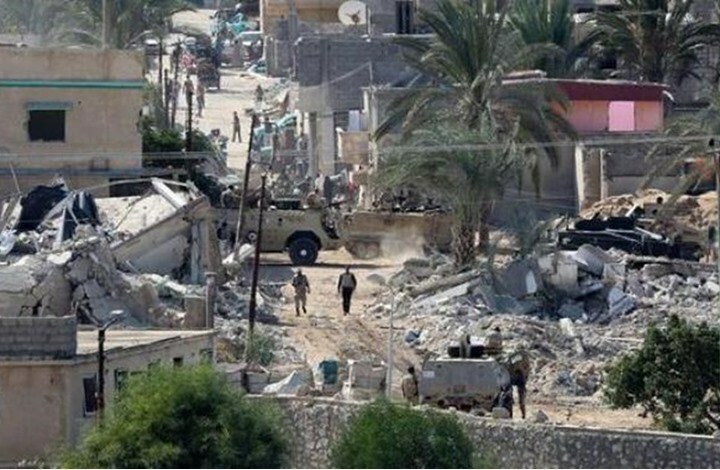 The initiation of the buffer zone started few days after a bombing attack on October 24 that killed 30 Egyptian soldiers to the north of the Sinai Peninsula. Egyptian authorities claimed that the buffer zone would help in eliminating the terrorist groups' attacks against its security forces that have recently increased. Amnesty International had earlier condemned the process and demanded an end to the demolition process of hundreds of homes on the border with Gaza. An Egyptian committee has finished surveying the homes of residents living between 500 and 1,000 meters of the Gaza border, in preparation for extending the buffer zone to a width of 1,000 meters, according to Egyptian military sources. The move comes following the previous destruction of hundreds of homes inside the 500-meter area, as part of a wider effort to ensure that the joint Israeli-Egyptian blockade of the Gaza Strip be fully carried out. Work on the buffer zone on the Egyptian side began in February of 2014, according to Ma'an News Agency, but was slated to extend only about 300 meters in urban areas and 500 in rural areas. 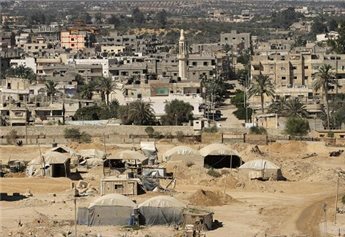 Both sides of the border are densely populated, Ma'an further reports, as the city of Rafah originally extended in both directions, a growth which was the result of the Israeli occupation of the Sinai Peninsula for more than a decade following the 1967 war. A Palestinian fisherman was injured, this past Saturday, by Egyptian gunfire off the coast of the Gaza Strip, according to a spokesman from the Gaza fishing community. "The fisherman was injured when Egyptian soldiers opened fire from a watch tower on naval border [between Egypt and the Gaza Strip]," Nizar Ayyash, the head of Gaza's Palestinian Fishermen's Union, told Anadolu Agency. 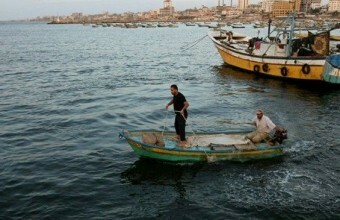 The Palestinian Ministry of Health confirmed that a fisherman was injured by the gunfire. "A 21-year-old fisherman sustained moderate injuries by gunfire off the coast of the southern Rafah city," ministry spokesman Ashraf al-Qodra told Anadolu. Egyptian authorities, however, have made no comment so far. 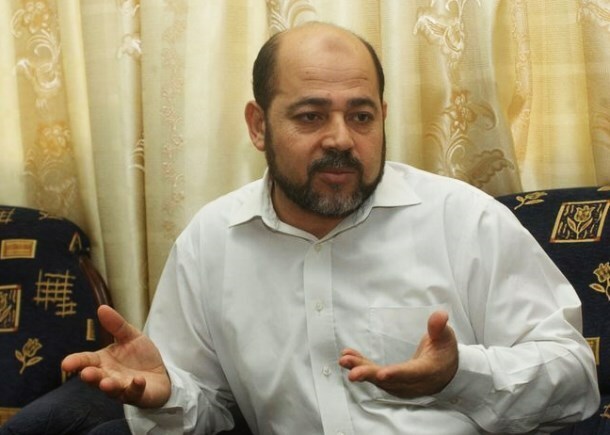 Political Bureau Member of Hamas Mousa Abu Marzouk called on the Egyptian authorities to appoint a committee to put to the test Egyptian charges that the group was involved in recent attacks in the Sinai Peninsula and was meddling in Egypt's internal affairs. "Hamas doesn't meddle in the domestic affairs of Arab states, especially Egypt's," leading Hamas member Mousa Abu Marzouk said at a meeting with the press in Gaza on Monday. "All the recent allegations that the Movement might have been involved in Sinai and other allegations are just unfounded," said Abu Marzouk. "The facts are clear; there are no captured Hamas members in Egyptian prisons. So we're calling on Egyptian authorities to form an investigative committee consisting of Arab and Palestinian members to ascertain the facts," he added. The Egyptian media had accused Hamas's armed wing, the Ezzedine al-Qassam Brigades, of standing behind recent attacks on security personnel in Sinai and providing weapons to Sinai-based extremist groups. The Egyptian authorities sealed the Rafah border crossing – which links the Gaza Strip to Egypt and from there to the outside world– following an October attack on Egyptian army troops in northern Sinai that left 31 dead. 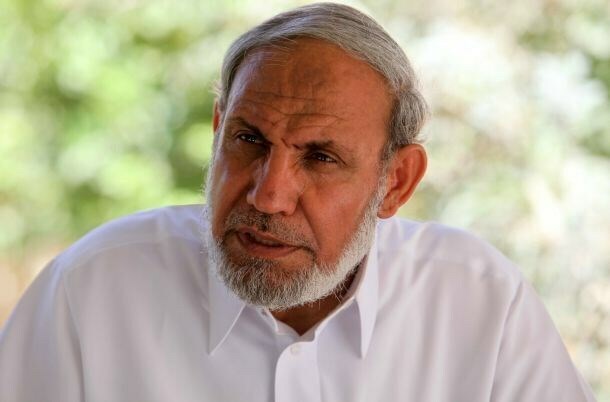 Senior Hamas leader Mahmoud Zahhar on Tuesday afternoon reiterated Egypt’s and Hamas’s commitment to bolster mutual cooperation and nurture fraternity bonds. Speaking to the Gulf News website Tuesday, Zahhar said contacts between Hamas leaders and senior Egyptian officials have been underway to that end. He denied current talks about projected prisoner-swap deals, saying other demands have priority at this stage. The Hamas leader further urged the Palestinian unity government to put into effect all the terms of the unity deal and observe the scheduled agenda and timing. Zahhar slammed Israel’s state terrorism against holy al-Aqsa Mosque and Islamic holy places in Occupied Jerusalem and the West Bank, holding the Israeli occupation authorities responsible for simmering tension and perpetrating anti-Muslim vandalism.